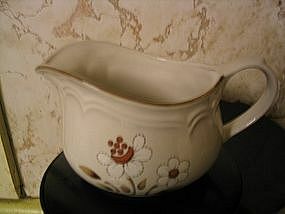 Stoneware gravy boat manufactured in Japan. No chips, cracks, breaks. Little sign of use. Creamer available as listing M-4172. If you have any questions regarding this item, please email. I need your zip code to calculate the postage.